First 50 Moms at the Saturday Market Will Get a Free Rose! Still need a gift for that special mother in your life? 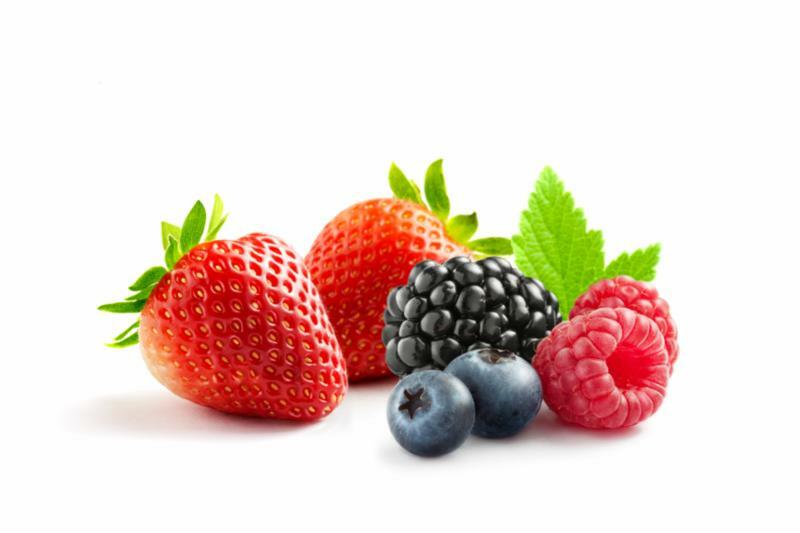 Shop the Mothers Day specials at The Frisco Rotary Farmers Market!. 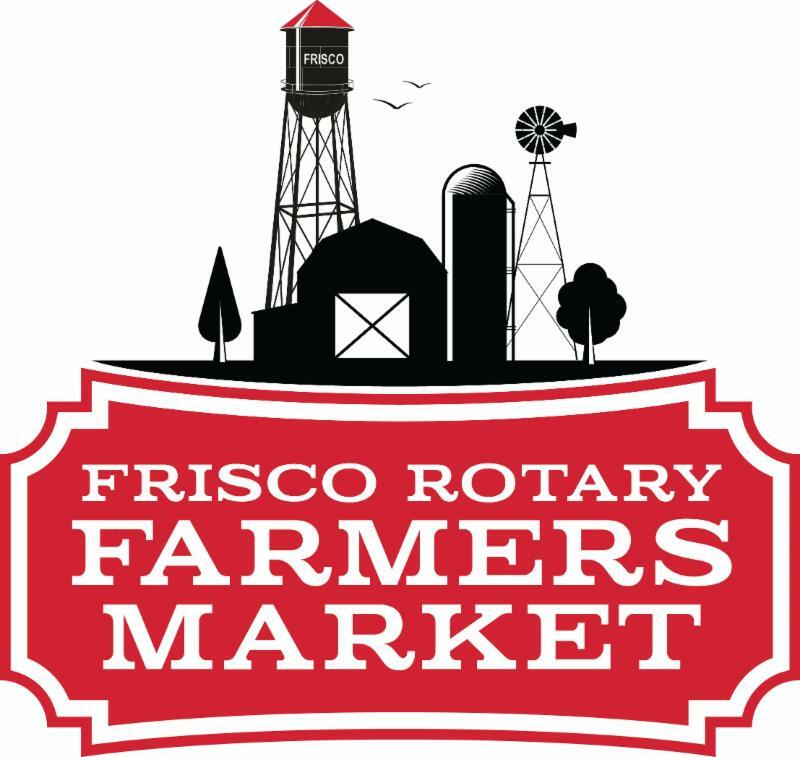 Bring your favorite Mom early...the first 50 Moms will receive a FREE rose at the Rotary Club of Frisco's booth! 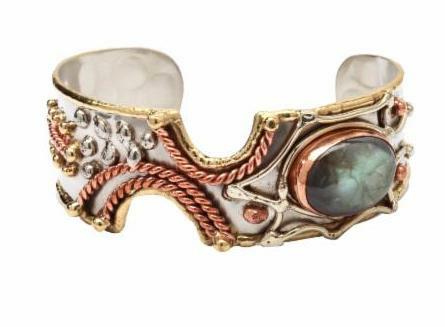 While you're shopping, be sure to stop by Zerya Designs' booth to enter (FREE) to win this beautiful handcrafted cuff made with German silver, brass and copper with genuine natural Labradorite. A $49 value! Two bath bombs and a travel size scrub and body butter. 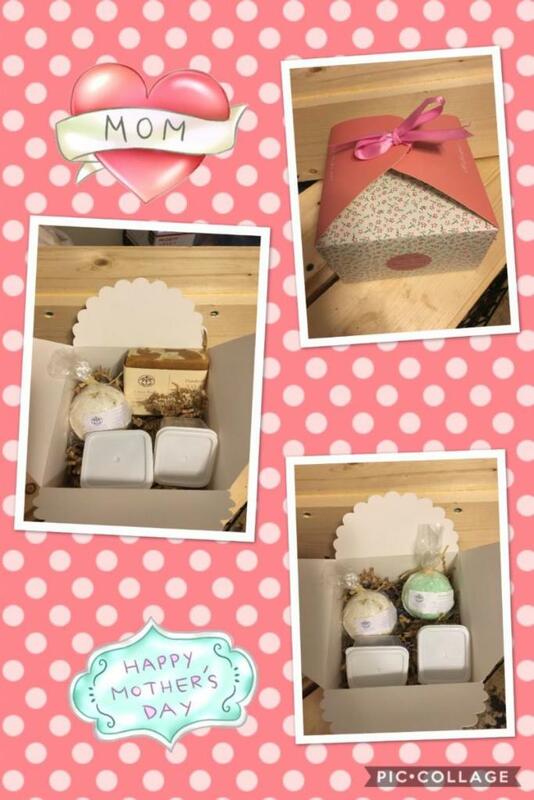 Short and Scrappy will offer small, medium and large baskets with soaps, sugar scrub and bath bomb or body butter specially packaged for Mothers Day. Looking for something special for Mothers Day breakfast or lunch? 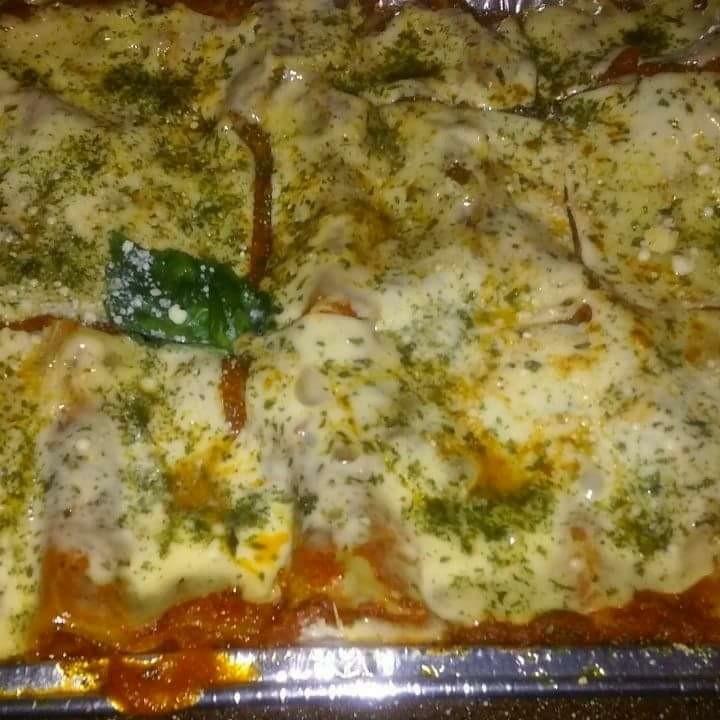 La Buona Cucina Bistro is offering a 10% discount on breakfast quiches, sweet chili meatball and Italian subs especially for Mothers Day! K Bar K Ranch is also offering a special on New York Strips at $10.95 a pound. What a great way to celebrate a romantic Mothers Day! All ground beef is in 1 lbs packages. 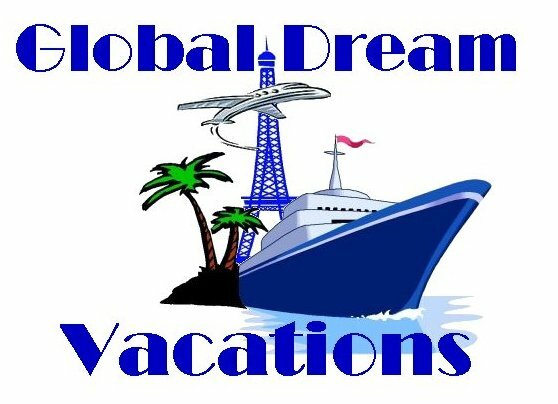 Are you looking for a way to reach out to health minded families that support local business? 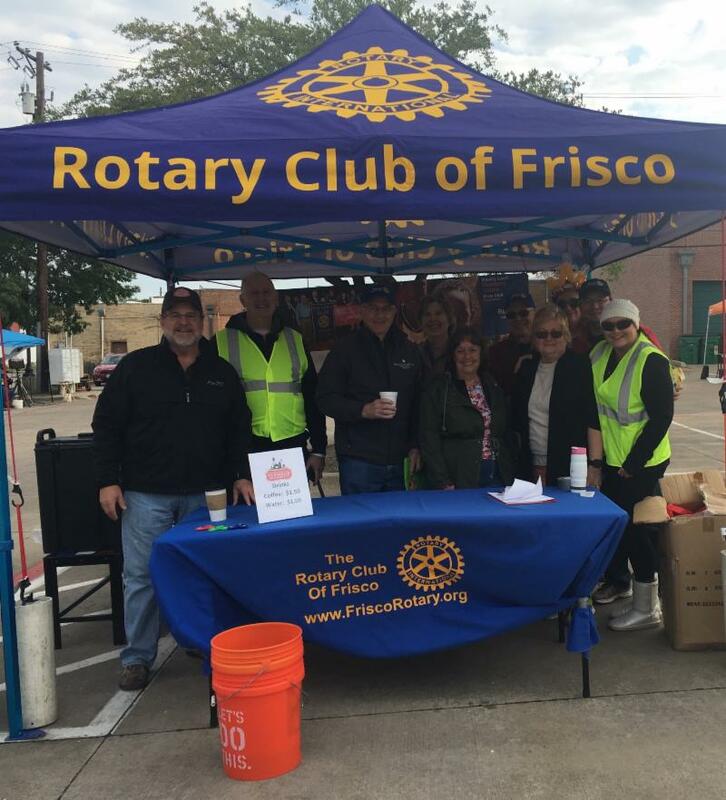 Those are the people that visit the Frisco Rotary Farmers Market each week for 34 markets per year with over 1500 visitors. 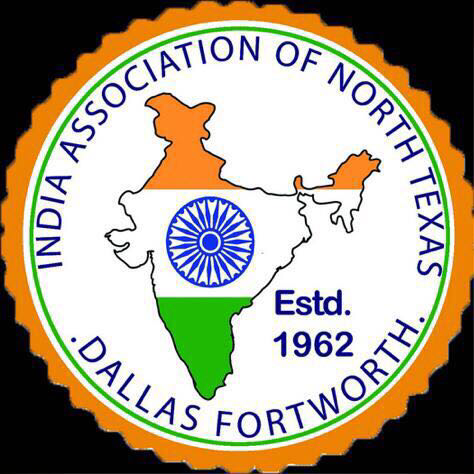 Visit the Rotary Club of Frisco Booth to Pick Up Your FREE Limited Edition Big John the K Bar K Bull Sticker! 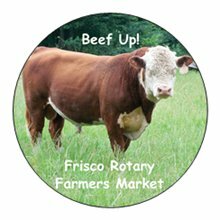 Buck Creek Meats provides Frisco Rotary Farmers Market customers with Texas grown, 100% grass fed and grass finished beef and lamb, free range chicken, pastured eggs and pastured pork. Mona and Richard Gregory run the 2,100 acre, third generation family farm near Paducah, Texas. 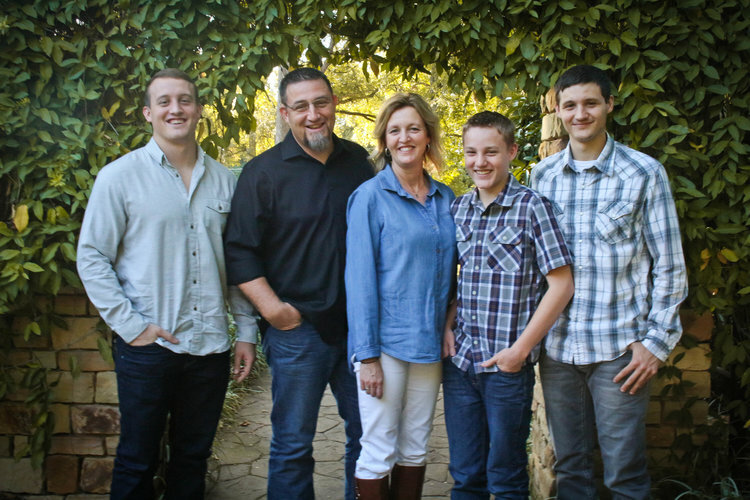 The whole family is engaged in Buck Creek Meats (pictured above, from left, Kyler, Richard, Mona, Kade and Kit). 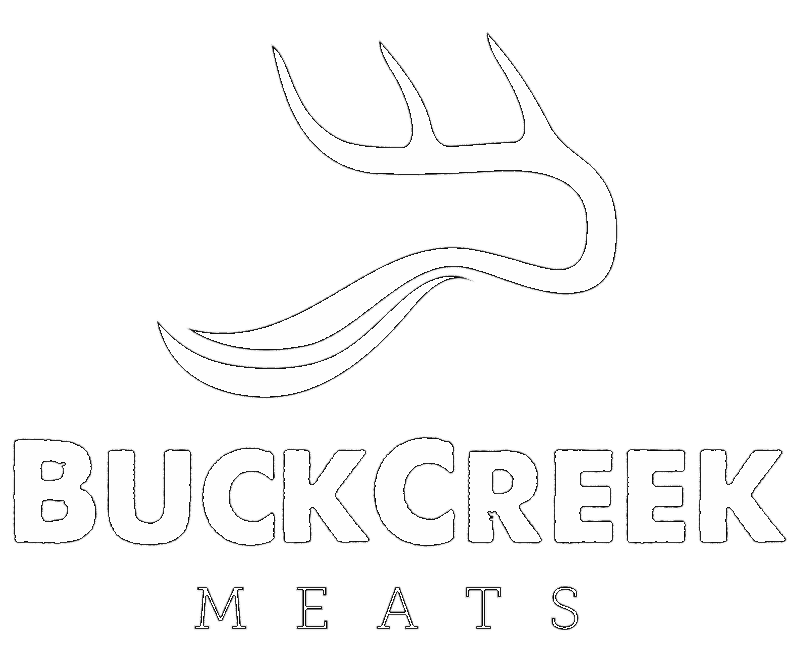 "My grandparents bought Buck Creek in the late 1930’s. 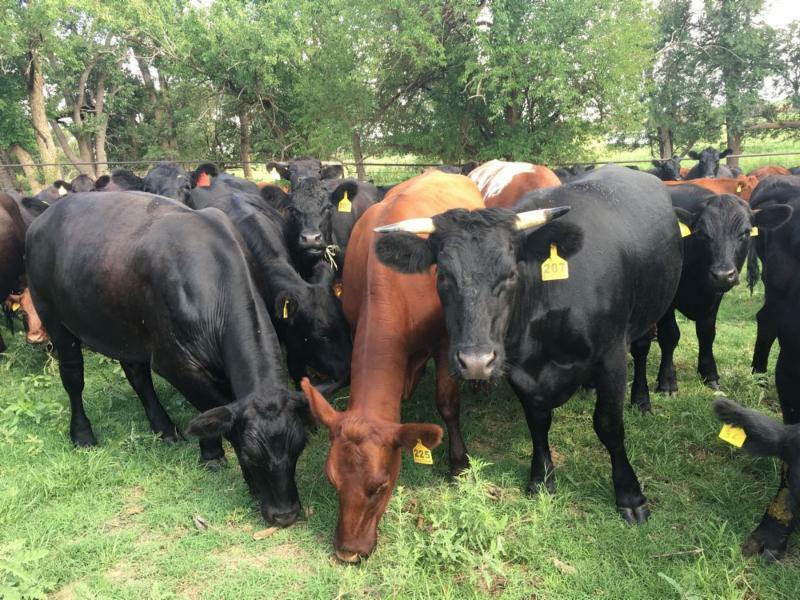 Our family bought our cattle from my dad in 2009." Said Richard. 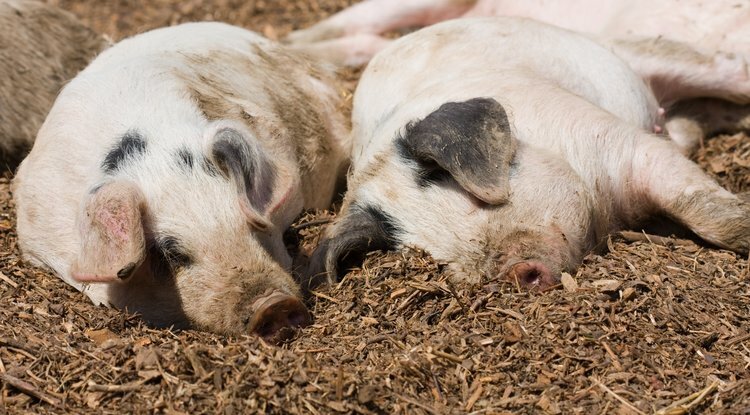 "We raise our animals the way it was intended, cattle and lamb never get grain, chickens run free to scratch for seeds and bugs while eating all the plants they want and pigs thrive in the dirt and mud as they range their pasture." Buck Creek cattle are "heritage" cattle breeds (Angus, Shorthorn & Galloway) that flesh easily on grass. The Galloway bulls breed smaller crossbred cows and calves that are efficient on grass alone. Buck Creek's cows are now smaller in size which makes them more efficient grazers that are also good mothers raising vigorous calves that grow fast. Shorthorn bulls improve the fleshing and create a highly marbled beef. Buck Creek calves are selected for slaughter between 20 and 27 months. This more mature animal allows for the meat to marble "finish" unlike younger animals. Because of this the calves are larger in size and marbled well leading to a better tasting product. Lamb is a new offering at Buck Creek. Their herd of Forper and Barbado ewe lambs and a nice black headed Dorper Ram were purchased in 2017. Dorper and Barbado sheep are consider “hair” sheep vs. “wool” sheep and are thus prized for their easy growth and their resistance to pests. This makes for healthier lambs that gain weight quicker. 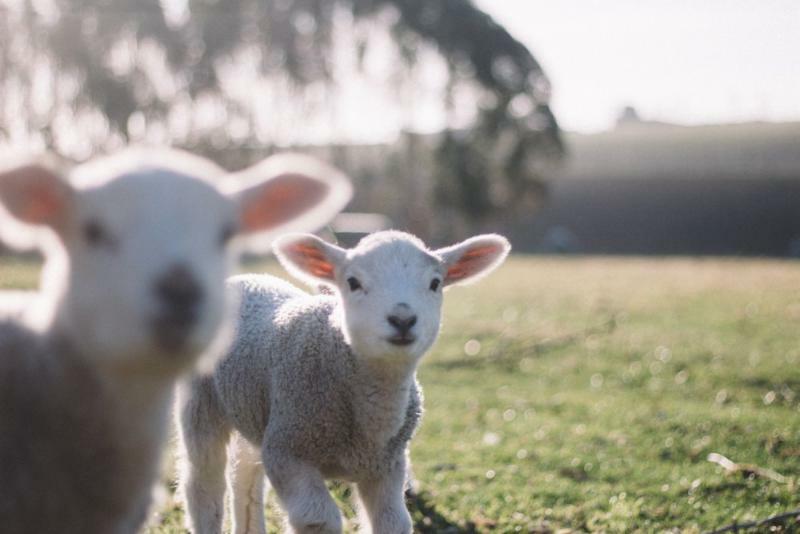 The pastures they are raised on are grass and legumes based and are nutrient, protein and carbohydrate rich making the perfect food for happy and growing lambs. "Our lambs are grown on these pastures alongside their mamas until they reach 80-100 pounds." Said Richard. "This attention to detail produces some of the best lamb that you can put in your mouth." Buck Creek chickens are raised the old fashioned way: on fresh green pasture and wholesome, non-GMO feed. "Our farmers model has been developed over the past twenty years and allows the birds to be raised in a cleaner, healthier, happier environment doing what chickens like to do." Said Richard. "Our birds are raised in a drug free setting and are never given antibiotics, steroids or arsenic." 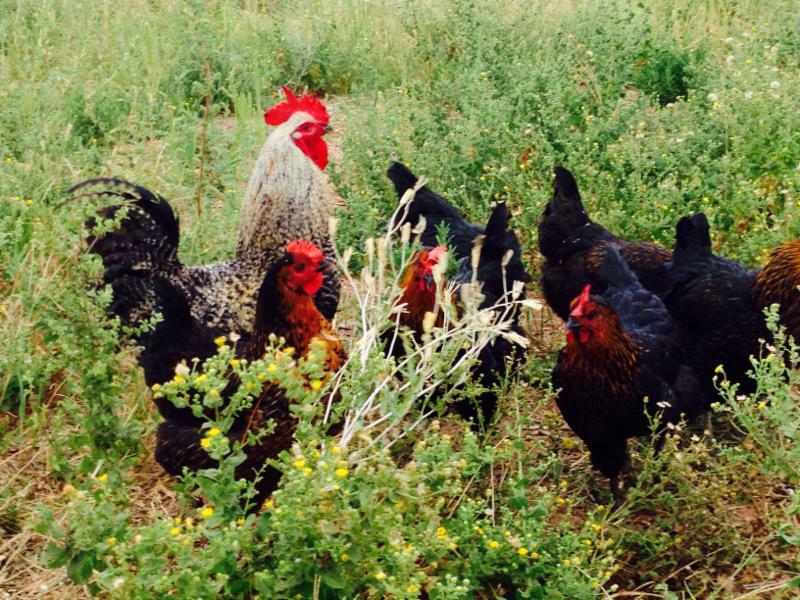 The Buck Creek hens (egg chickens) are truly “free-range”! These chickens are raised on the same pastures as the other animals where they can “be a chicken” scratching for bugs and seeds while consuming as much fresh grass as they desire! They are housed in a mobile hen house at night to protect them from predators and provide a convenient place for them to lay their large brown (and occasional blue) eggs. 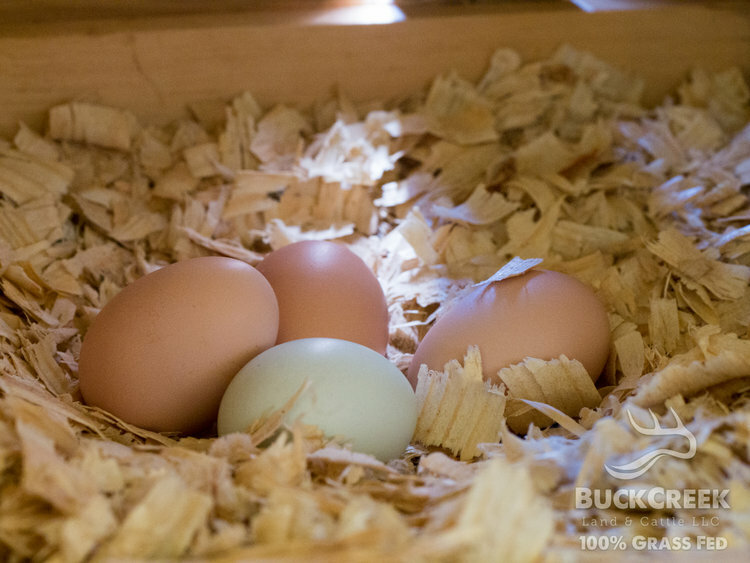 "There is nothing happier and stress free than a chicken's life at Buck Creek" Said Richard.